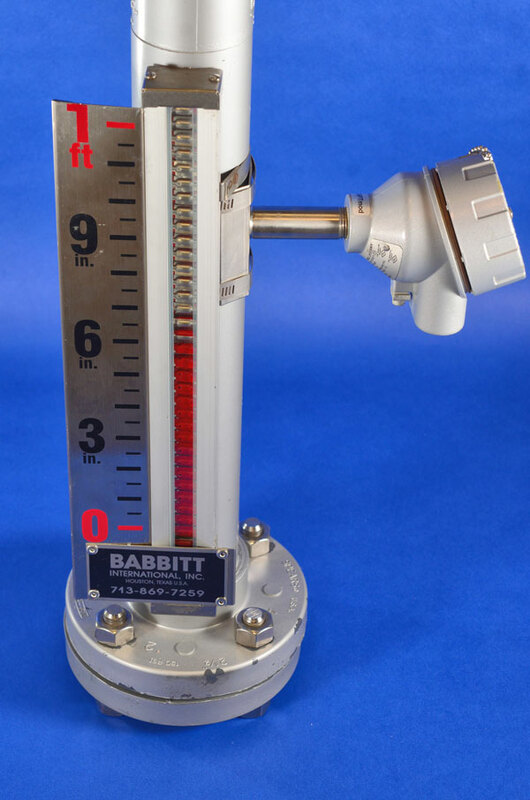 Babbitt Magnetic Level Indicators, also referred to as Level Gauges, consist of a chamber, a magnetic float and a flipper type indicator scale mounted to the side of the chamber. Understanding the operation of the Magnetic Level Indicator is quite simple. The fluid in the tank seeks its own level inside the chamber. 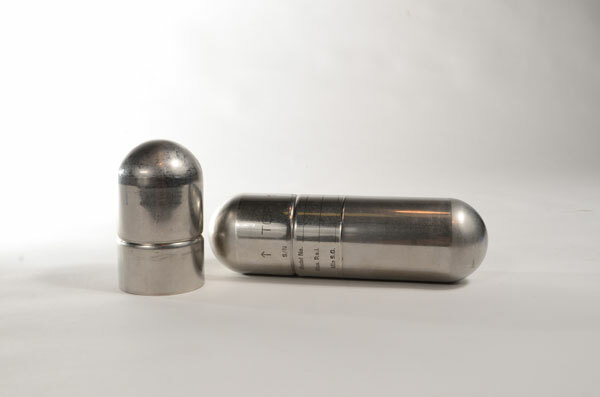 The magnetic float in the chamber rises and falls with the fluid level. As the Magnetic float rises and falls, it changes the orientation of the flippers on the scale providing a visual level indication. 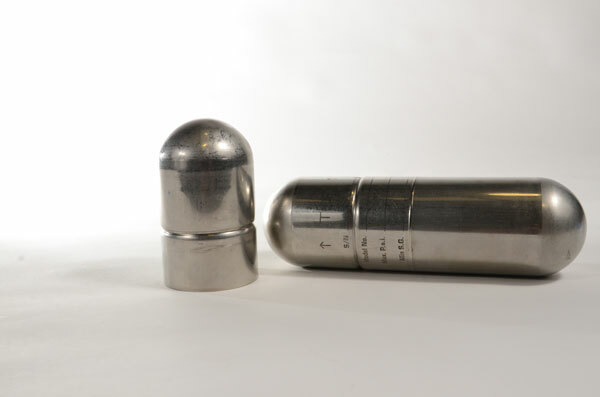 In addition, as the magnetic float rises and falls, it actuates any transmitter or alarm switches that are attached to the side of the gauge. 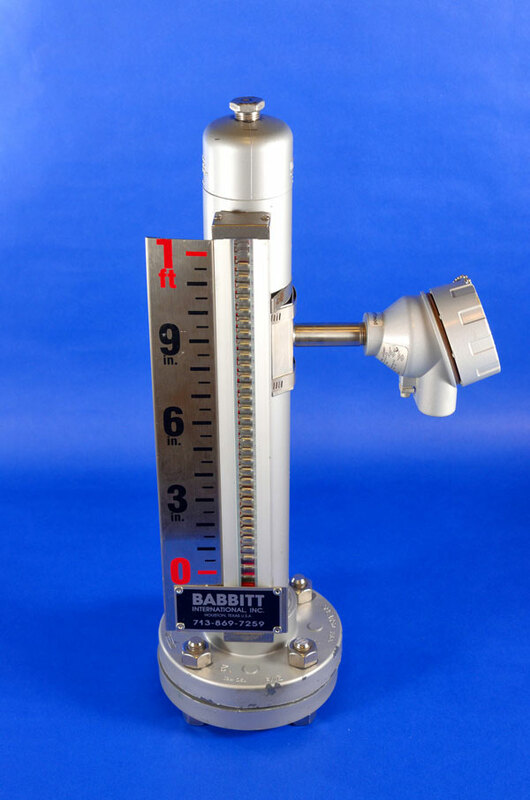 Babbitt Magnetic Level Indicators are custom made based on your requirements. The float construction is determined by the process fluid, pressure, temperature and specific gravity of the fluid. Magnetic Level Indicators are generally made of 316SS, but can be made from a variety of other materials including CPVC, Kynar, Hastelloy, Monel or other exotic metals. 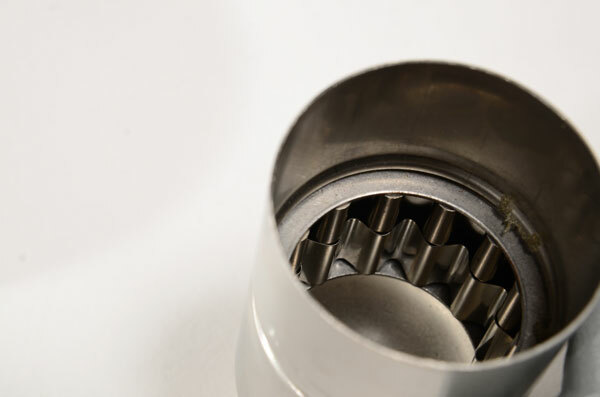 A variety of mounting style options and process connections are available to meet your needs. Attaching a side mounted transmitter allows a 4/20mA signal to be sent to a remote location for indication or control function. Babbitt offers 3 different types of transmitters to fit your needs. 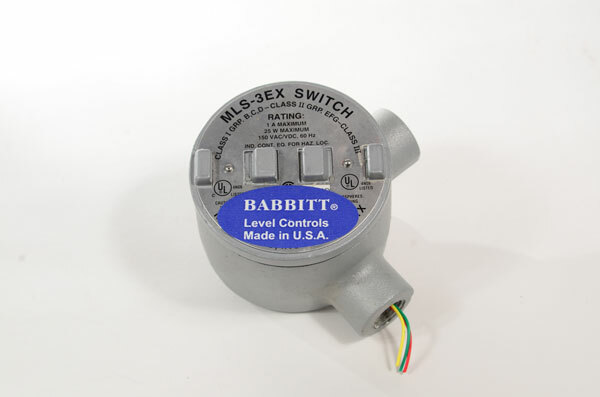 The Babbitt LT-1 is a lower cost, analog transmitter with no digital display and provides step up level in ½” inch increments. The LT-1 is often the preferred choice when precise measurement and communication are not required. 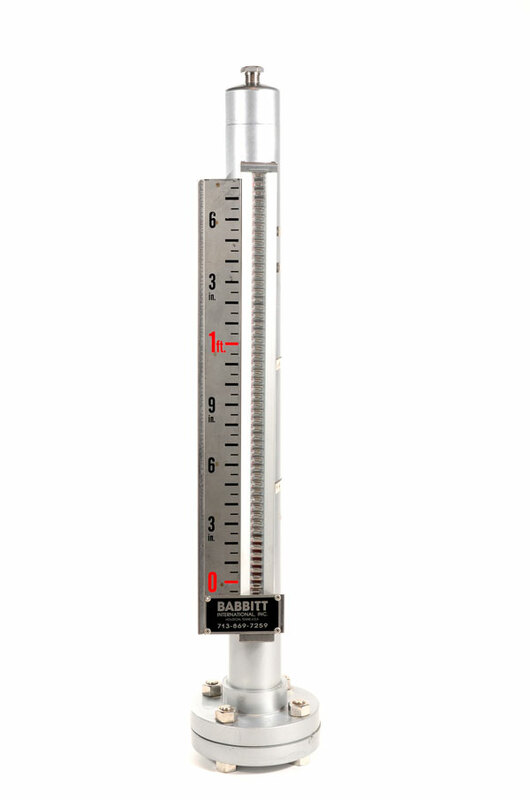 Babbitt LTM 250/350 series magnetostrictive level transmitters offer highly accurate and precise liquid level measurement. LTM transmitters are available with two-wire loop powered 4-20 mA signal output or bus powered (Fieldbus) with digital output(s). Additionally, MLS Series magnetic alarm switches can be added, external to the float chamber, for alarm or control functions. These switches can easily be moved up or down the float chamber without shutting down or disturbing the process. Babbitt offers a variety of MLS models to fit your needs. For more information on Magnetic Level Indicators, mounting styles, transmitters, MLS alarm switches, ordering information and additional options, please see the Magnetic Level Indicator PDF.